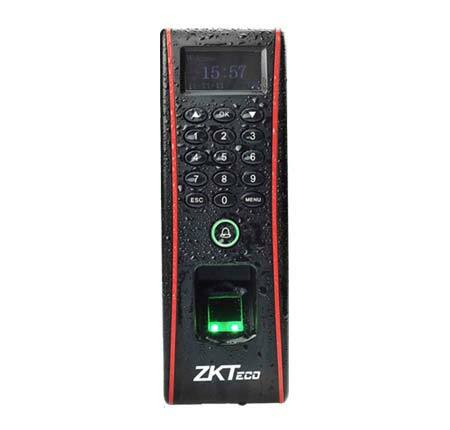 ZKAccess is a leading provider of biometric and RFID solutions. 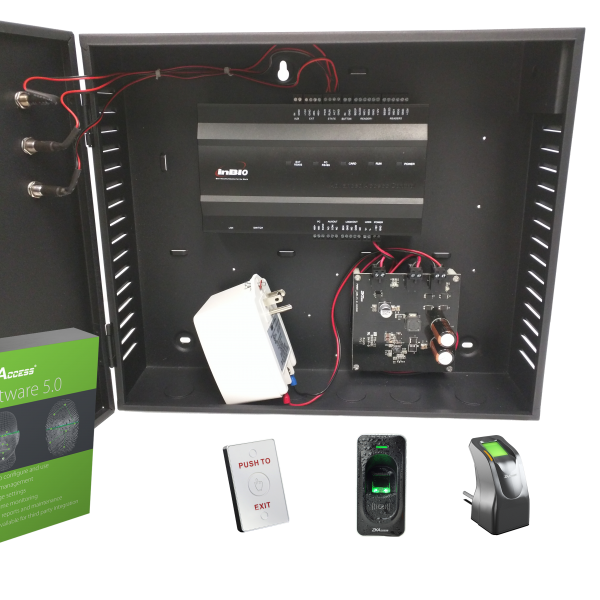 Product offerings include Access Control readers and panels, Near & Far-range Facial Recognition Cameras, Elevator/floor access controllers, IP and AHD cameras, Turnstiles and Consumer products including fingerprint-based battery-operated Biometric Door Locks. Its solutions are multi-lingual and localized in over 18 different languages. ZKAccess designs specialized products for specific markets and provides local customer support to its North American customers. Their U.S. facility includes a large global showroom and warehouse. Based in Fairfield, NJ, ZKAccess is a division of ZKTeco, a leading global developer of security and time management solutions. ZKAccess is synonymous with technical innovation, quality, speed-to-market and reliability. For more information, please visit http://www.zkaccess.com/. InBio carries out the matching of fingerprints on the panels. The FR Series of readers transmit fingerprint templates to InBio via RS-485 for fast and accurate matching with templates stored in a data-base. 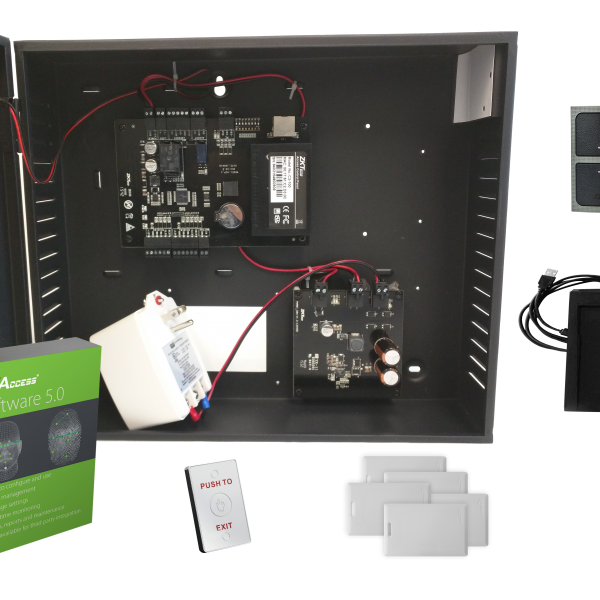 InBio controllers install easily on your network and support both TCP/IP and RS-485 communication. Auto-discovery tool allows setting and modication of network parameters directly and easily. ZKAccess Systems are built on flexible, open technology to provide management, real-time monitoring , and control of your access control system-all from a browser, with no additional software to install. Our secure Web-hosted infrastructure and centralized online administration reduce your IT costs and allow you to easily manage all of your access points in a single location. C3-100’s versatile design features take care of present and future needs with ease and efficiency. It is one of the most rugged and reliable controllers on the market, with a multitude of built-in features. Reliable, durable and highly accurate ZK fingerprint sensor with ver. 10 algorithm provides less than 1.5 second user recognition. Works without computer. Complete setup and programming can be done via keypads and embedded firmware.Audio-Visual Indication for acceptance and rejection of valid/invalid fingerprints. Relay Outputs for electric lock and alarm. Inputs for door status sensor and exit switch. Supports multiple timezones and personnel groups for programming valid entry zones. IP65 rated waterproof enclosure permits this reader to be used for outdoor applications. 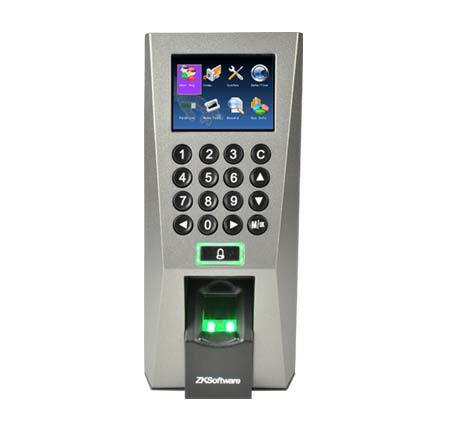 Identify or verify users by their face, fingerprint, proximity card or PIN/Password…. or any combination, all conveniently from a single device. Built-in Infrared light source enables operation in dimly lit rooms.The Multibio 700 works without a computer. Complete setup and programming can be done via keypads and embedded firmware. Reliable, durable and highly accurate ZK fingerprint sensor with ver. 10 algorithm provides less than 1.5 second user recognition. Works without computer. Complete setup and programming can be done via keypads and embedded firmware. Graphical user interface on a 3.5 inch TFT display for rich user experience. Audio-Visual Indication for acceptance and rejection of valid/invalid fingerprints.Relay outputs for electric lock and alarm. Inputs for door status sensor and exit switch. Supports multiple timezones and personnel groups for programming valid entry zones. The alarm will be triggered when the tamper switch is activated. Weigand output for connecting to access control panel and Ethernet port for fast and reliable communication with the computer.